EAST RUTHERFORD, N.J. — Giants fans began booing early in the third quarter of their team’s game with the Dallas Cowboys on Sunday night. It was an impressive show of restraint. Booing in the first quarter would have been understandable. The Giants’ offense certainly deserved it. Odell Beckham Jr., who had dropped two crucial passes, knew that. And just like that, as often happens, Beckham changed the course of the game with a flash of his signature, unmatched speed. The Giants trailed by 4 points late in the third quarter when Beckham caught a routine, short slant pass, evaded four Cowboys defenders and dashed virtually untouched into the end zone for a 61-yard touchdown. 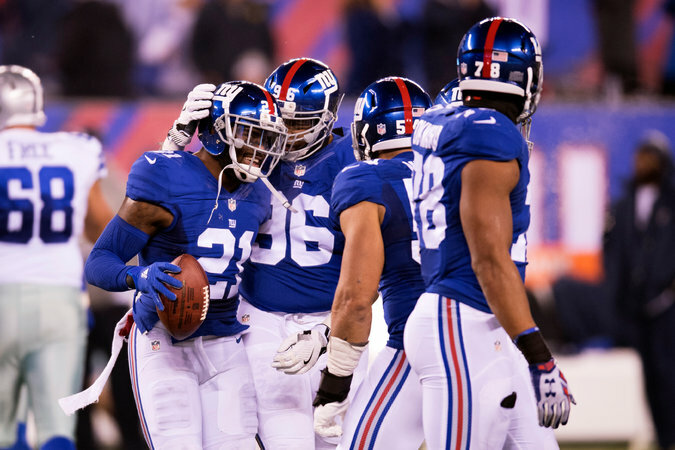 The Giants’ defense, which was one blown pass coverage from shutting out the N.F.L.’s leading team Sunday, stoutly protected the lead from there. And the home crowd was on its feet cheering for the rest of a stirring 10-7 Giants victory. Landon Collins (21) celebrated after recovering a fumble late in the fourth quarter. Assuming Cowboys RB Ezekiel Elliott appeals suspension, what could happen next?